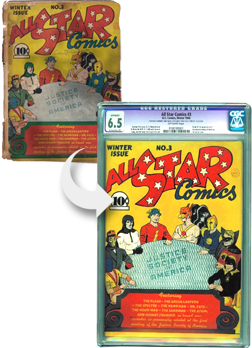 This entry was posted in Comic Restoration and tagged CBCS, CGC, comic book pressing, Comic book restoration, comic pressing, Comic restoration on June 10, 2016 by Mike DeChellis. 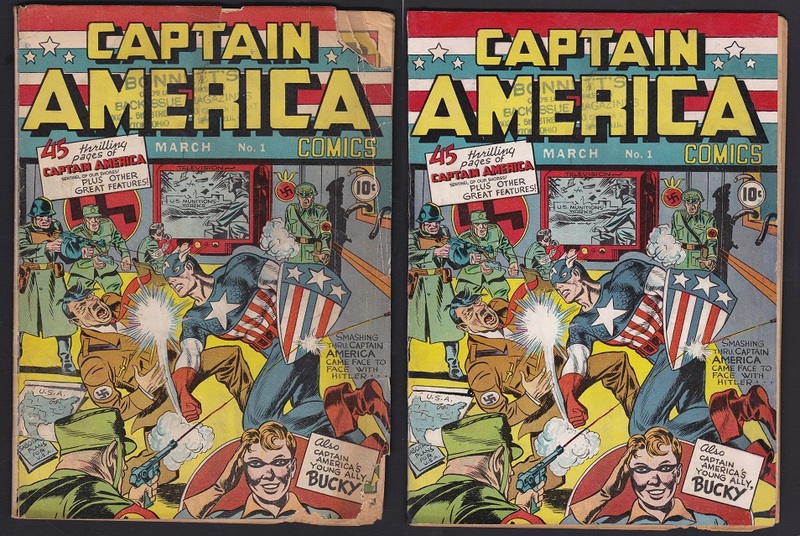 Barely in time for his 75th Anniversary, we have a Captain America #1, with work done only to the cover. 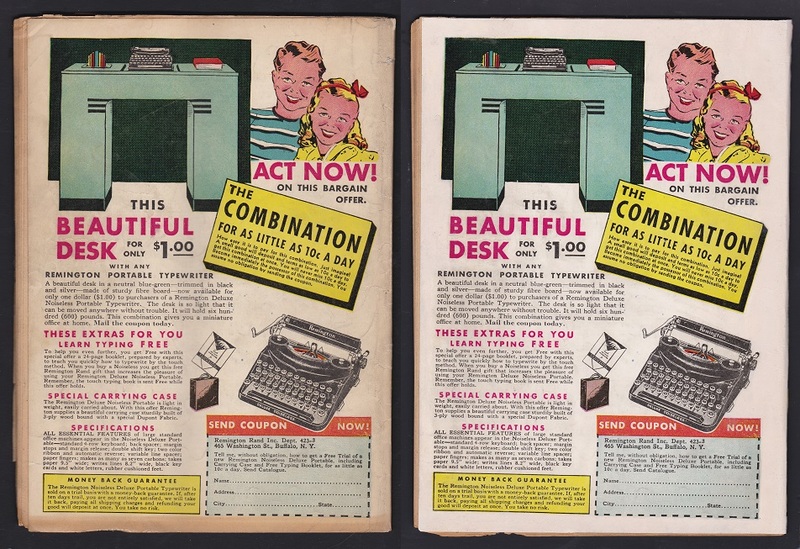 This copy was brittle on the right side, which caused the loss of the corners. There also were several pieces of tape on interior of cover holding loose pieces on right edge, half way up. After tape removal, washing, re-attach the loose pieces, leaf-cast, then recreate the missing art on the corner, plus color touch, the book is done. Be a hero and share!